When a golfer goes to Scotland, everyone asks if they are going to play the Old Course at St. Andrews, the most famous golf course in the world. 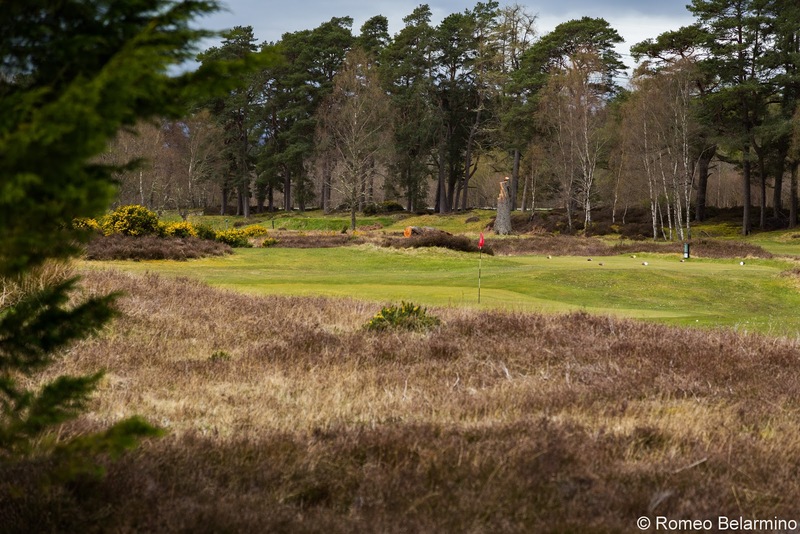 But since Scotland is the birthplace of golf, there are a ton more Scottish golf courses beyond St. Andrews, and many of them are top golf courses in their own right for various reasons. 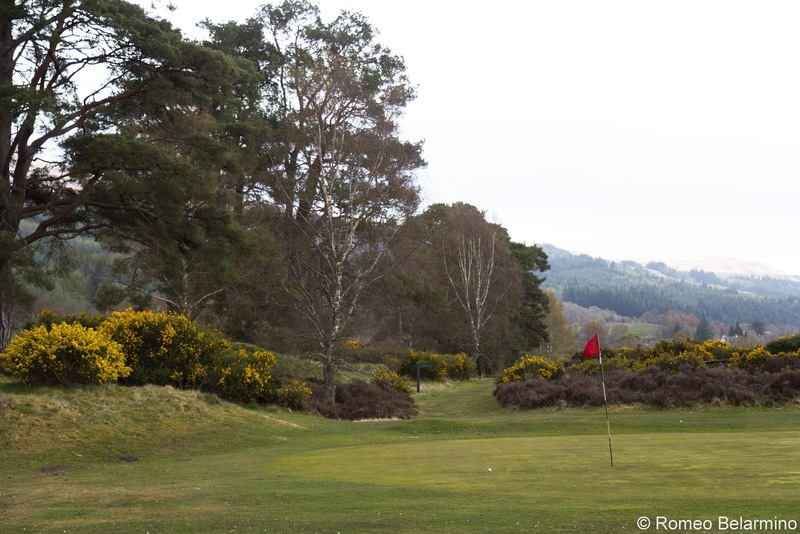 The following is my account of three fanfreekintastic Scottish golf courses I was able to experience on our trip about Scotland starting in Edinburgh and finishing at the end of Loch Ness. You know those two old wood-shafted golf clubs your weird Uncle Frank has hanging in a decorative X pattern on the wall in his man-cave across from the dart board? Well, I actually played golf with those and loved it. 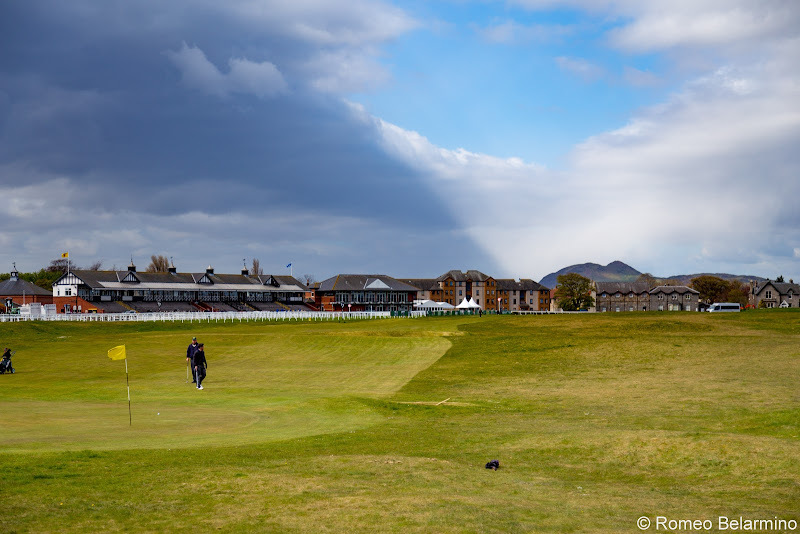 Musselburgh Links is arguably the oldest golf course in the world (it was recognized by Guinness as such) and Mary Queen of Scots is said to have played there in 1567. In fact, the size of the hole in which the game is still played was determined by a tool at this place. Open Championships were played here centuries ago. Of course, the debate is often made for St. Andrews, which has recorded golf being played on the land dating back to 1552. I’m not here to try to figure all that out. 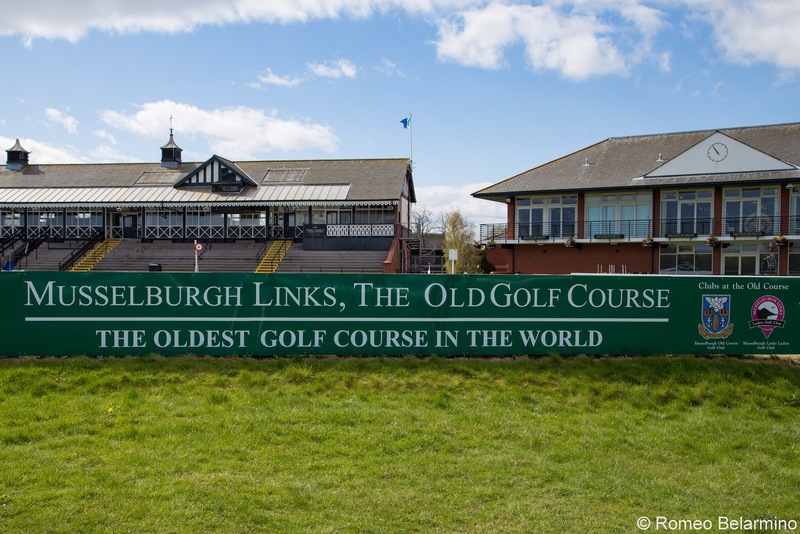 All I know is there’s a gigantic banner on one of the gates which reads: MUSSELBURGH LINKS, THE OLD GOLF COURSE - THE OLDEST GOLF COURSE IN THE WORLD. They’re quite proud of it, as they should be, and that’s enough for me. Be sure to visit the old Clubhouse which is basically a museum showing the history of the old Club. They’ll be happy to give you a more convincing argument. I’m not going to lie to you. I made an attempt to get in at St. Andrews to play the Old Course. I established my handicap and I found out you need to play a round at one of the other St. Andrews’ golf courses. It’s basically a lottery and I didn’t get lucky. I’m sure that’s the case with many golfers hoping to play those storied links and I was, needless to say, disappointed when I found out I wasn’t going to get to play the most famous of the Scottish golf courses. But, when I was informed I was going to play Musselburgh Links and found out what it is, I became very excited. It’s an easy fifteen minute, three quid roundtrip bus ride from Edinburgh. You’ll find Musselburgh Links in the middle of the Musselburgh Racecourse. 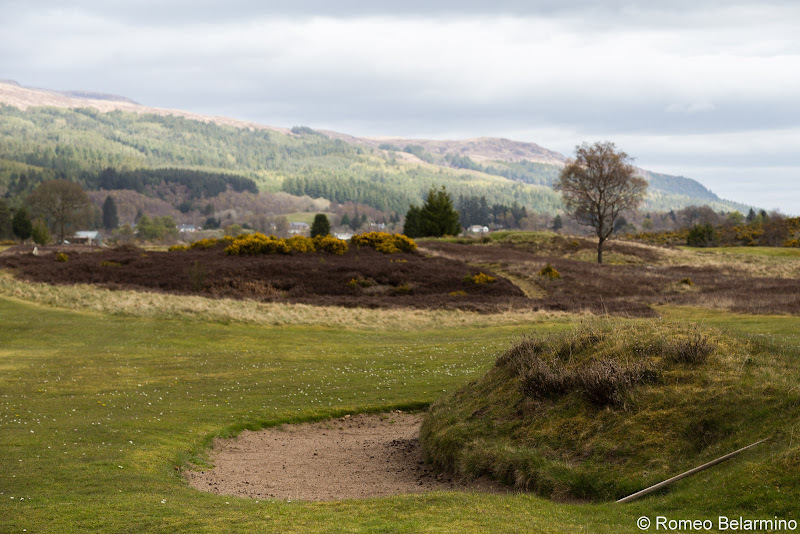 That’s right, this Scottish golf course is mostly in the “infield” of a horseracing track. How funny is this local rule? When a ball lands in a hoof-print, following verification by a playing partner, the rule for ground under repair applies. 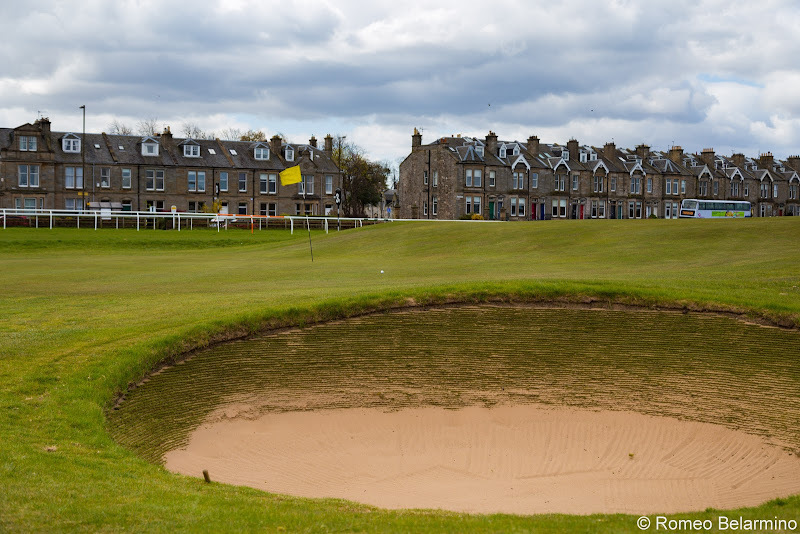 Musselburgh Links, for the most part, is fairly flat, especially by today’s standards. The course is nine holes (remember, they hadn’t settled on an 18-hole format yet) where the wind swirls and can blow your ball 20 yards pull or fade. Now imagine facing that while gripping what seems like a leather-handled garden tool. I was provided with a set of five clubs. 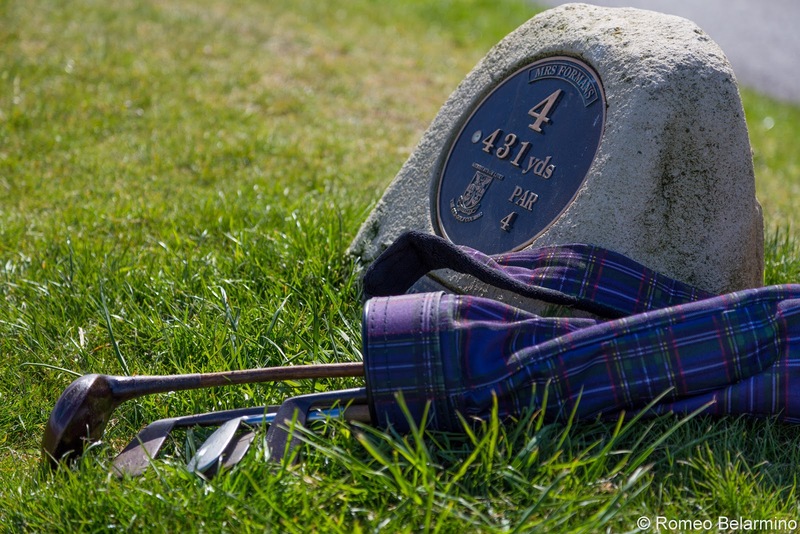 The Brassie is like your driver. The Brassie was invented at Musselburgh Links when a metal plate was mounted to the bottom of a wood. The set also included a Mashie, which I’m told is the 150-yard club for most golfers; a Mashie Niblick, good to 125 yards; a Niblick, your 100 and in club; and, finally, a putter. My playing partners were club members and happy to see someone take the old hickories out for a spin. They’re surprisingly powerful and workable to a degree, but a mishit is a catastrophe. There’s a small chipping area to get acquainted with the “wedge,” and a putting area too. But there’s no full range to figure out the bigger clubs, so it’s a baptism by firing away. Grip it and rip it, so they say. Sure, you can play your round with a modern set of clubs and maybe enjoy it as much as any other course, but I suggest giving the old hickories a try. It’s a once-in-a-lifetime round and a memory for a lifetime. 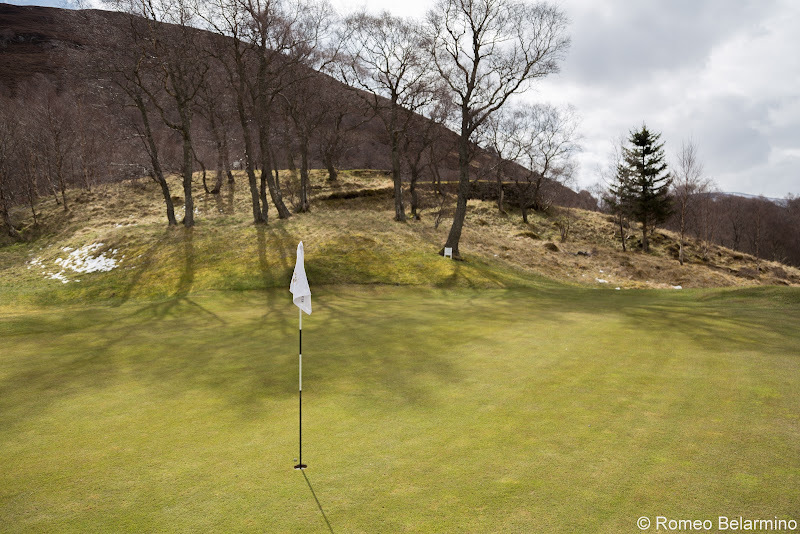 My second round at a Scottish golf course found me in a mountain town in the middle of the Scottish Highlands, at around 1,200 feet above sea level. 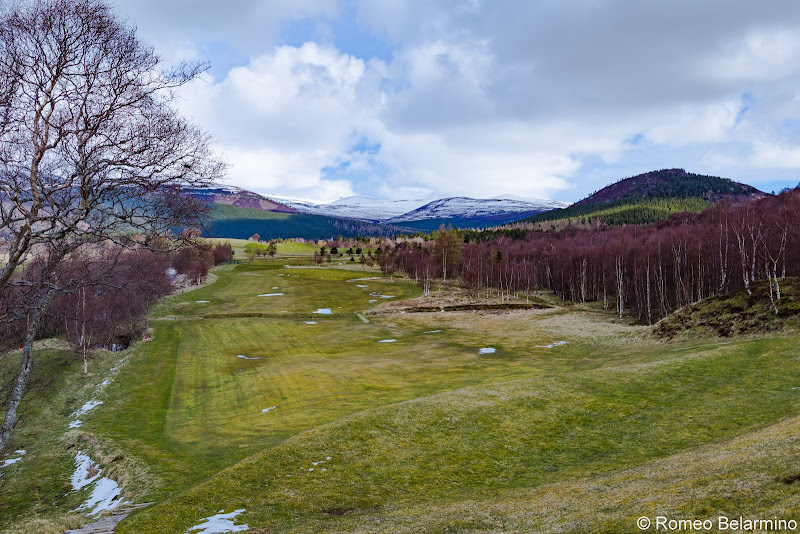 Braemar is home to the Highest Golf Course in Scotland, Braemar Golf Club, another track I thoroughly enjoyed. 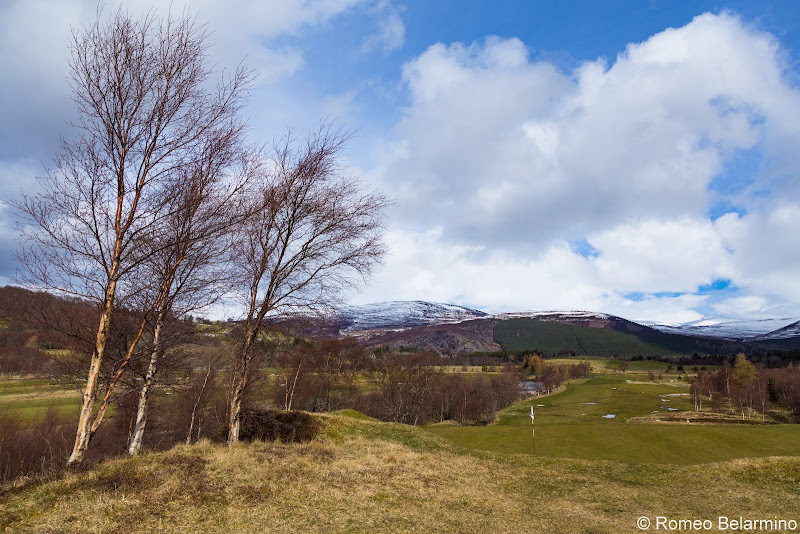 The course had seen a bit of rain and snow before I played, and yet it wasn’t soggy. I get a feeling the grounds here are a little more accustomed to the moisture than our sunny southern California courses. It was here I was introduced to the mighty rough these Scot folks brag about. I can personally say it’s no joke. Do not venture off the mowed area! I only managed to really hide one ball in there. When you can no longer see your feet from knee-high foliage, it’s time to call it a loss. 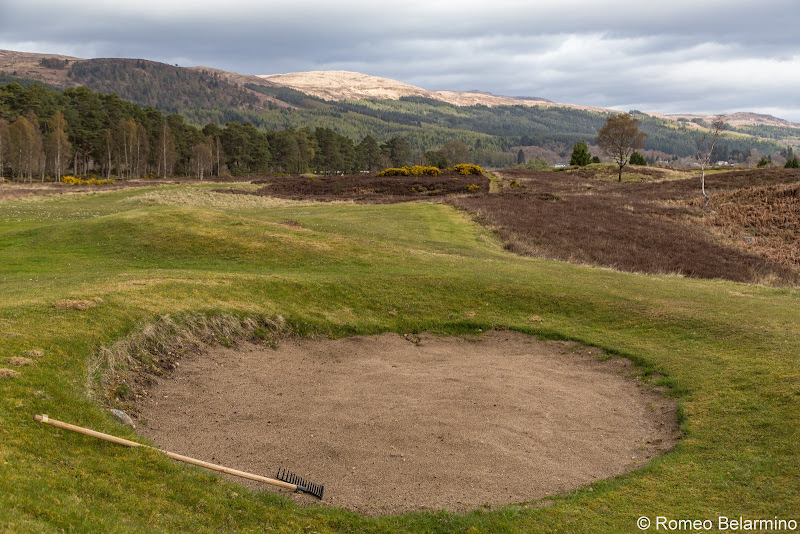 This course also has not a solitary sand bunker. They don’t need them. Instead, they have these grass mounds which protect the greens. I was lucky enough to not have to deal with any directly, but I did have to pitch over top of a few, having barely missed the green. Another feature which promises this is no cream-puff of real estate is the fact that there is the possibility of four par-threes which measure over 200 yards depending on which tees you hit from. 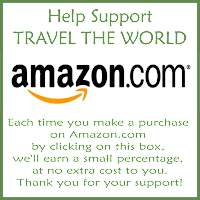 Honestly, it’s one of those places you would be happy to play more than once if your visit keeps you in the area long enough, as it is a national park, but there would be no guarantee you’d score any better. What I found most memorable was that the mountains surround the entire course and provide an amazing snowcapped view from every angle. I saw a few deer wandering about the hills. Wildlife is always a plus as far as I’m concerned so long as I don’t have to worry about getting bit somehow (we have rattlesnakes in our neighborhood). The course is raised around the edges, which not only makes for interesting looks at pins, but also a fine glance at the scenery this land is so famous for. The staff is super friendly and helpful. They set me up with everything I needed, even extra balls just in case. 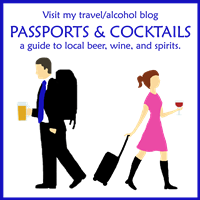 I normally only travel with one sleeve of three and a glove. I felt like I had the whole place to myself the day I played, so I’m going to go with an often overused phrase and call this one a hidden gem. Space being limited, you play the course twice from different tee locations. The Fort Augustus Golf Club is no grand establishment. There’s no posh clubhouse to speak of. We weren’t even able to contact the starter by phone when trying to make a tee time on our visit. We found the greens keeper mowing the fairways, which we found in very good order, and he was able to get us a round. They can provide you with clubs, tees, and balls. What else do you need? There is even a green fees box available for folks wanting to play when no one is available. It works on an honor system. (Can you even imagine?) For just a bit more they rented us clubs and we were instructed to just leave them in the water closet on the side of the clubhouse. 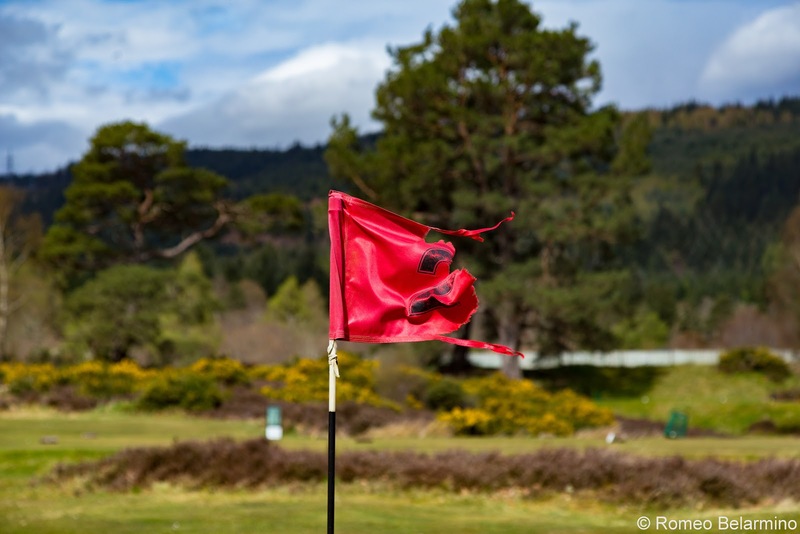 The Fort Augustus Golf Club has its own funny local rules for sheep poop and wool on the greens and fairways. You basically clean and replace as necessary. It’s a beautiful place to get a round in. I met a new buddy on board our cruise who, just like me, would have been happy to play any of the many Scottish golf courses. What a bonus that it turned out to be this amazingly quaint, yet picturesque, walk in the park. From the lochs, it seems a lot flatter than it actually is. In fact, there’s quite a bit of undulation. The greens are fair and roll true. 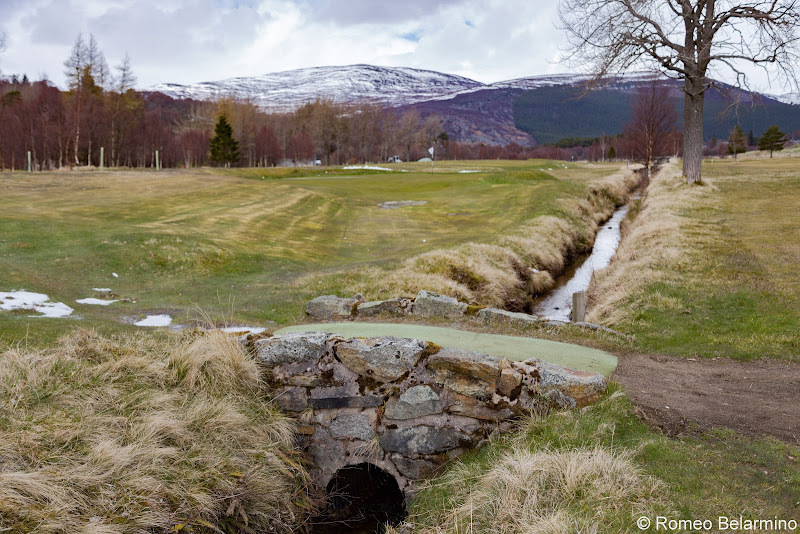 Hats off to the nice folks who keep and maintain this rustic course located where, when the wind blows (and it always does), it can be a real test for even an experienced golfer but, more importantly, a fun experience for a not so serious one. 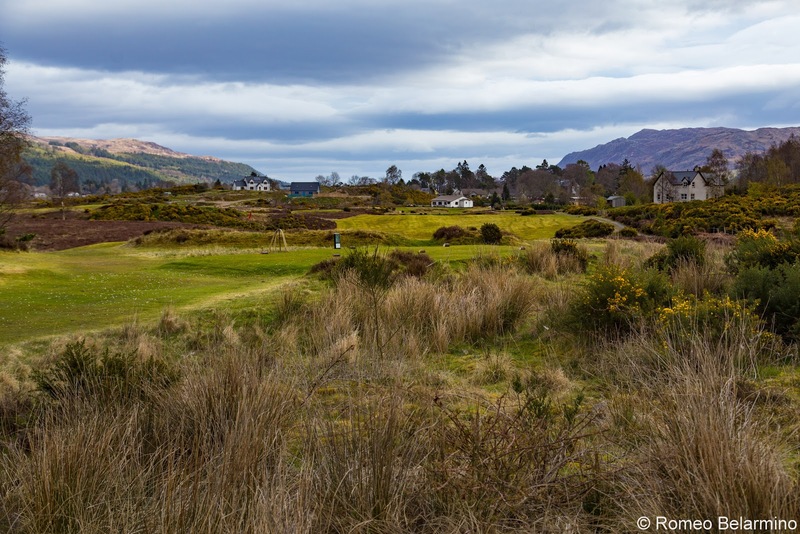 If you’re a golfer traveling to Scotland, I hope you’ll consider giving one of these Scottish golf courses a try. 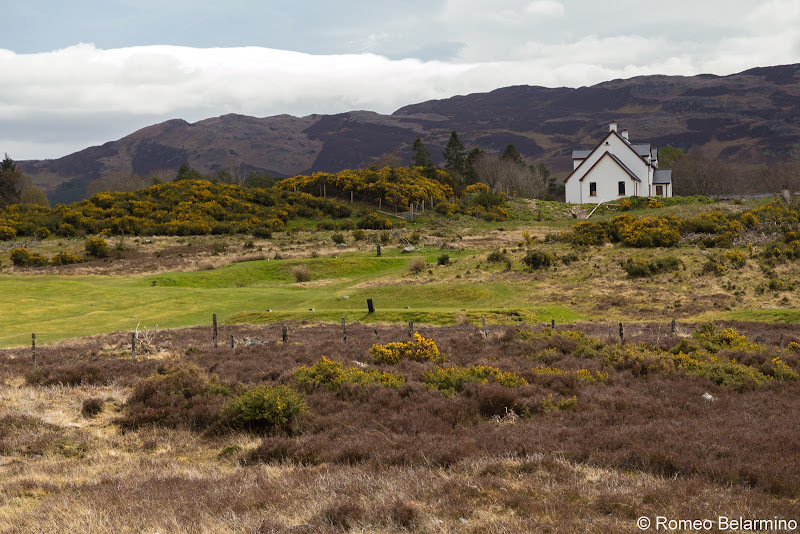 There’s more to Scotland than the big famous golf courses you hear about all the time. 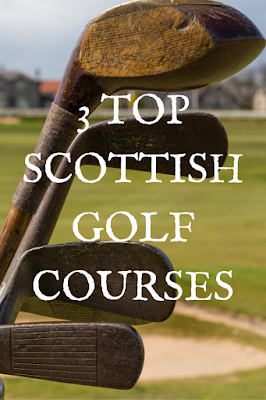 Each of these golf courses has something to put it into the list of top Scottish golf courses. 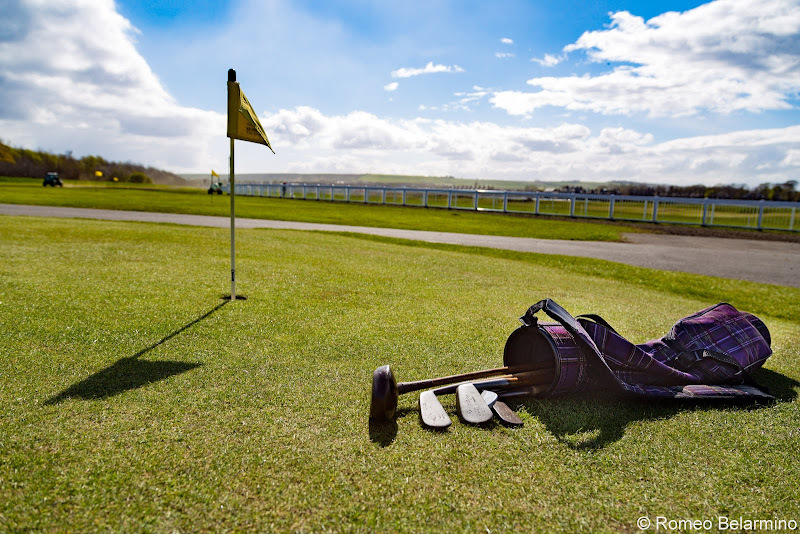 Musselburgh Links is arguably the oldest golf course in the world. 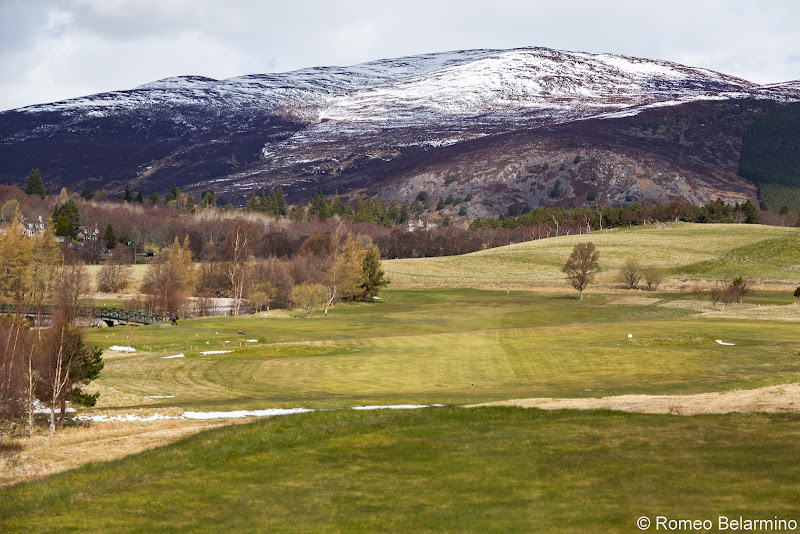 Braemar Golf Club is the highest golf course in Scotland. 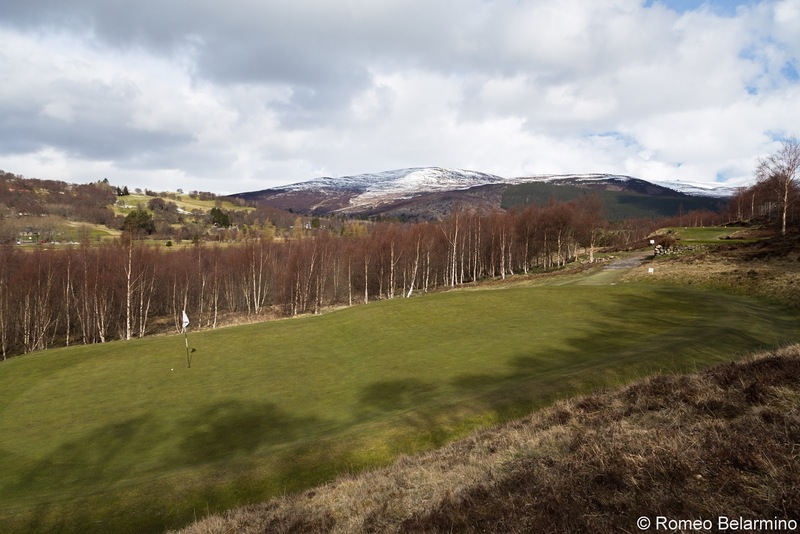 Fort Augustus Golf Club is the hardest nine-hole golf course in Scotland. 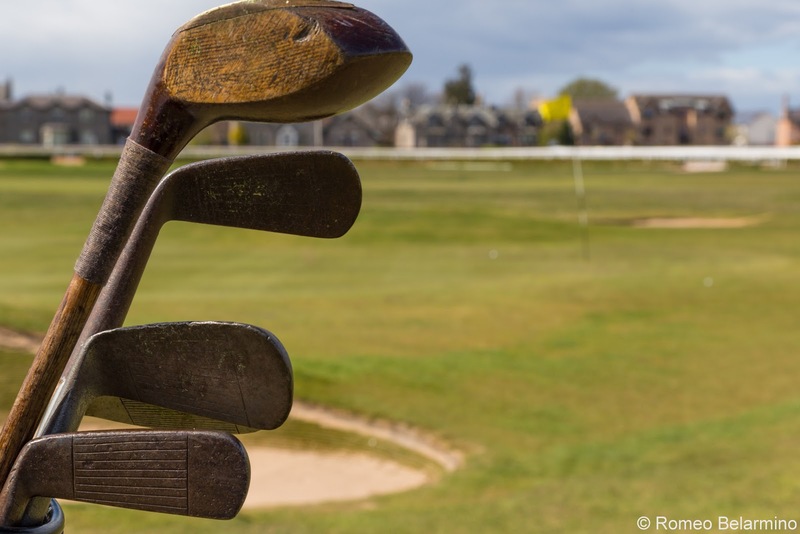 And as for Musselburgh Links, when are you going to have the chance to play with hickory clubs they used back in the 1500s, unless you steal your Uncle Franks? Thank you to Musselburgh Links and Braemar Golf Club for hosting my rounds and making this post possible. As always, all opinions are my own.